The best for last. The final concert to this year’s Earshot Jazz Festival was legendary South African trumpeter Hugh Masekela, an innovator in the world music and jazz scene who continues to tour the globe as a performer, composer, singer, producer, and activist, enjoying world renown for almost 50 years after rising to prominence as a voice of opposition to apartheid rule in his homeland. 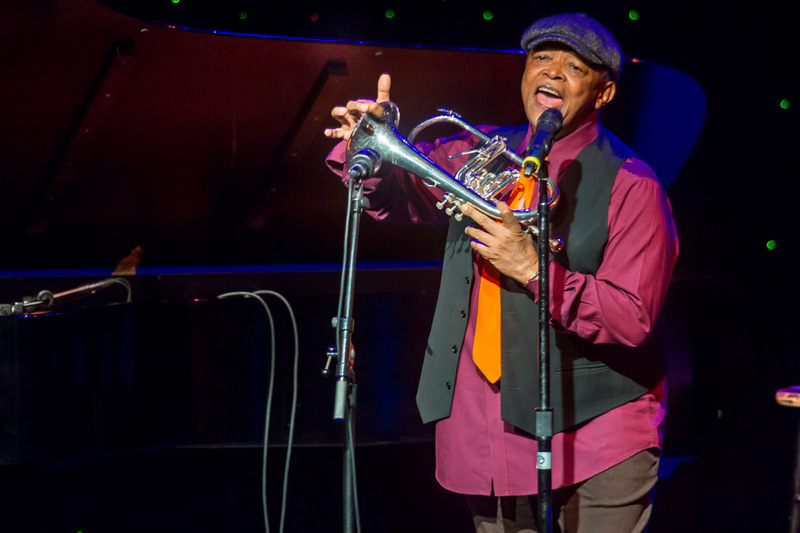 This iconic artist is best known for his Grammy-nominated hit single, “Grazing in the Grass,” which sold over four million copies in 1968 and made him an international star. He later played an integral role in Paul Simon’s tour behind the classic album Graceland, which was one of the first pop records to introduce African music to a broader public. 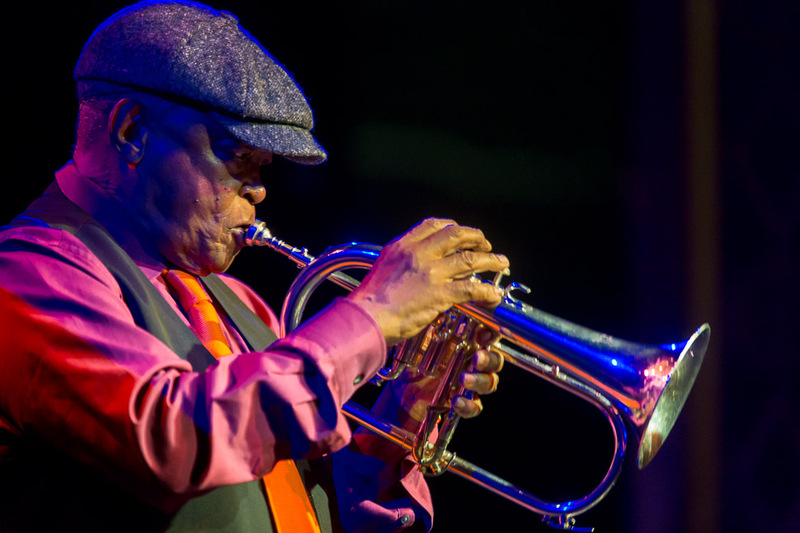 Born in the Witbank, South Africa, in 1939, Masekela received his first trumpet at the age of 14, from Father Trevor Huddleston, the deeply respected advocator of equal rights in his country. Soon after, the Huddleston Jazz Band was formed. 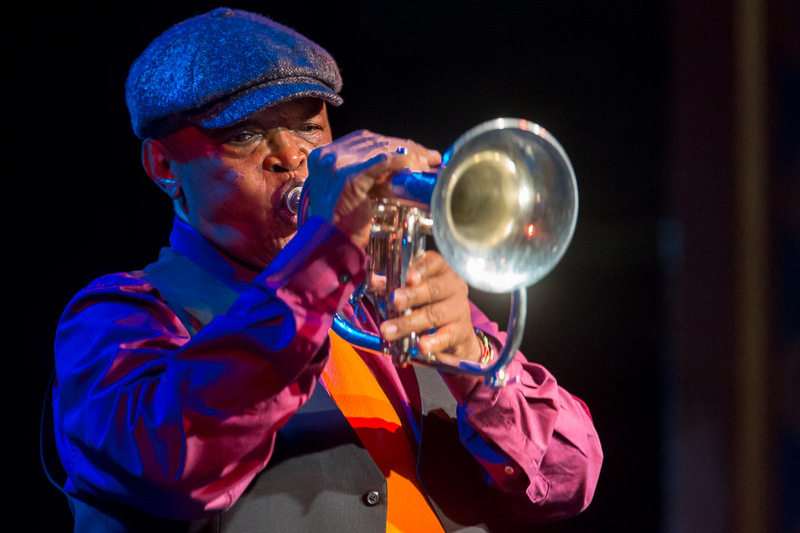 Masekela began to hone his now signature Afro-Jazz sound in the late 1950s during a period of intense creative collaboration, before moving to New York in 1960 and enrolling in the Manhattan School of Music. 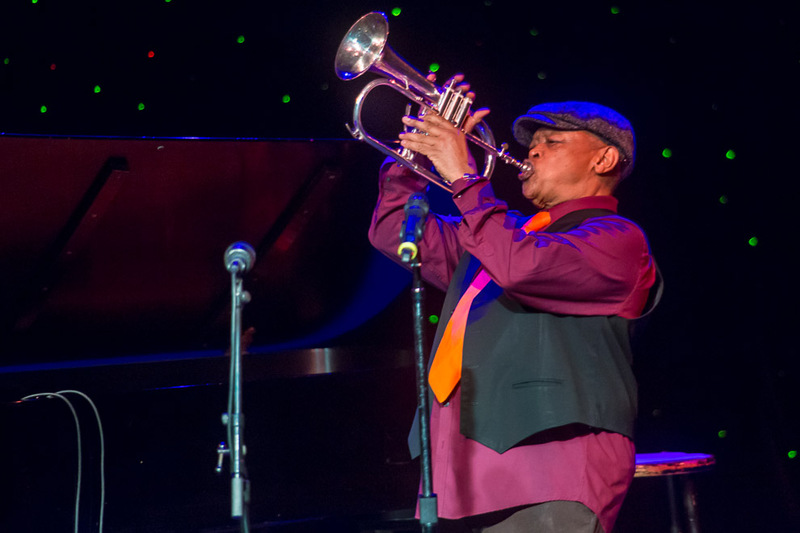 There, the young Masekela immersed himself in the New York jazz scene where nightly he watched greats like Miles Davis, John Coltrane, Thelonious Monk, Charlie Mingus, and Max Roach. 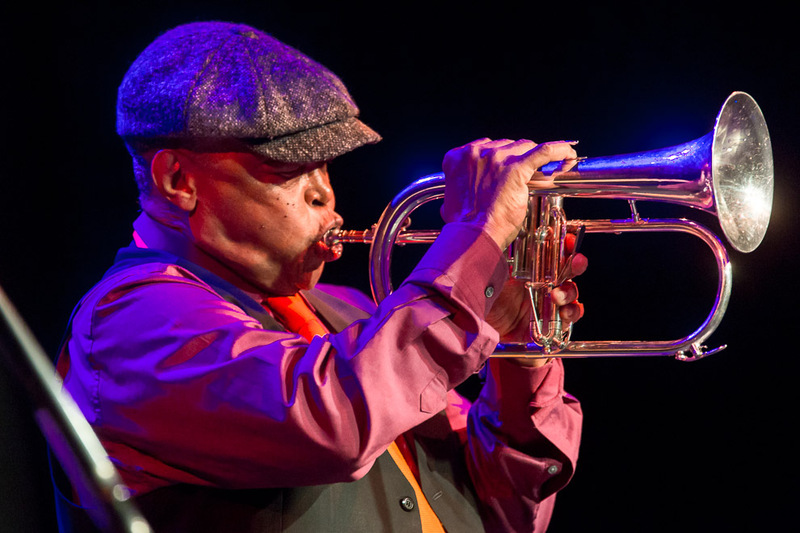 Under the tutelage of Dizzy Gillespie and Louis Armstrong, Hugh was encouraged to develop his own unique style, feeding off African rather than American influences – his debut album, released in 1963, was entitled Trumpet Africaine. 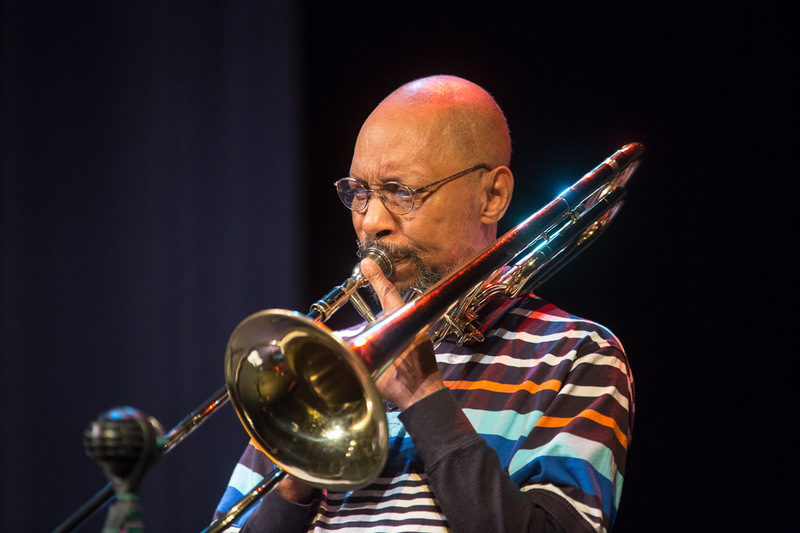 His subsequent solo career has spanned five decades, during which time he has released over 40 albums (and been featured on countless more) and has worked with such diverse artists as Harry Belafonte, Dizzy Gillespie, The Byrds, Fela Kuti, Marvin Gaye, Herb Alpert, Paul Simon, Stevie Wonder, and the late Miriam Makeba. 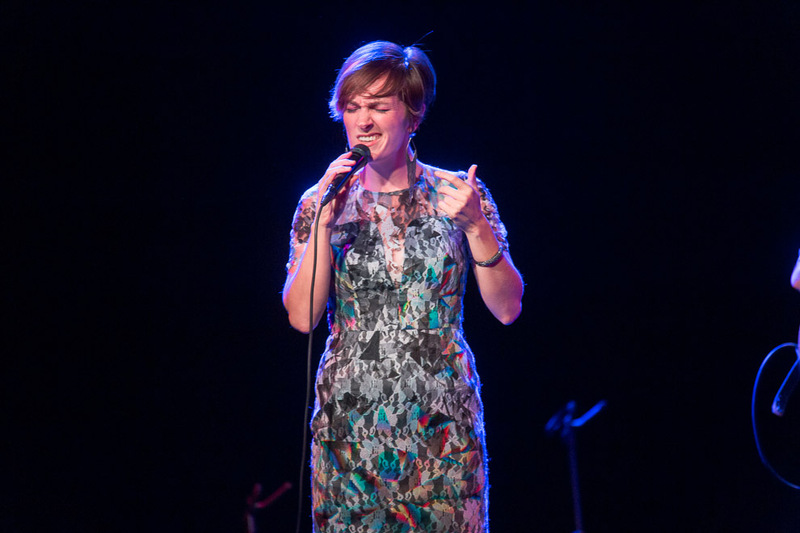 Seattle-born jazz vocalist Sara Gazarek has established herself as one of today’s great musical storytellers. 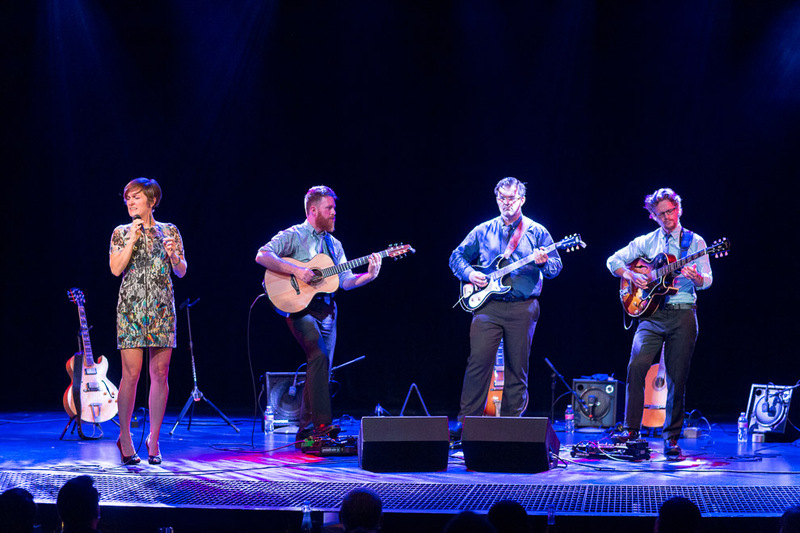 Dan Bilawsky of All About Jazz says, “Gazarek balances fancy free notions, effervescence, carefree whims, fragile emotions, precocious pondering and humor in her work.” She effortlessly blends jazz influence with soft, contemporary stylings, appealing to wide audiences. Los Angeles-based guitar trio New West Guitar Group is made up of John Storie, Will Brahm, and Perry Smith.DownBeat’s Bill Milkowski says their collaboration involves “shimmering arpeggios, collectively strummed chords…tight cracking interplay and complementary playing.” Their juxtaposition of through composed and improvised sections, electric and acoustic guitars, and beautiful simplicity and virtuosic display keeps their style fresh and their audiences guessing. 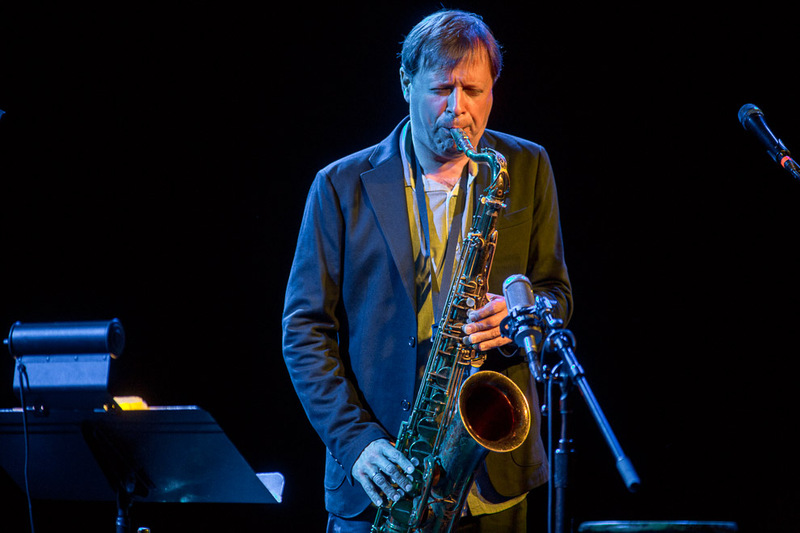 Saxophonist Chris Potter – on his way to becoming a living legend – lights up our closing week in a burning trio with Drew Gress (bass) and Adam Cruz (drums). 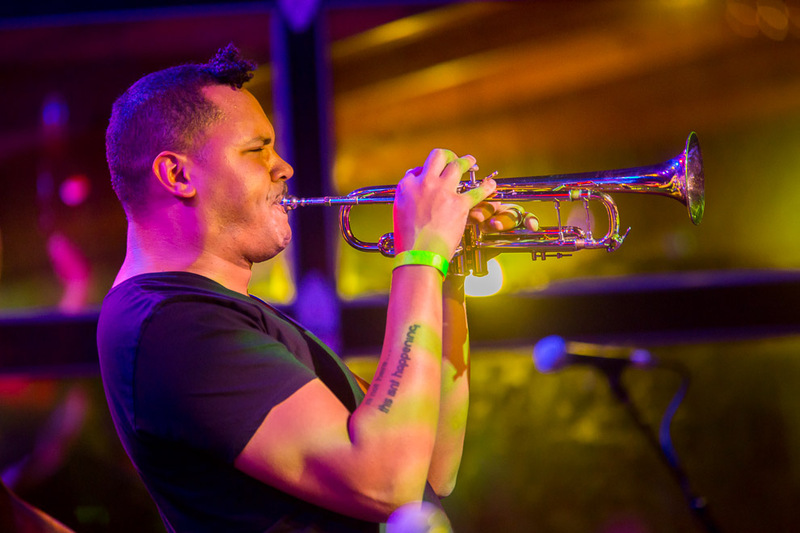 Potter’s name has already been cemented in the legacies of jazz as one of the key faces of his generation. His vocabulary is fluent and deep in both old school and new school. 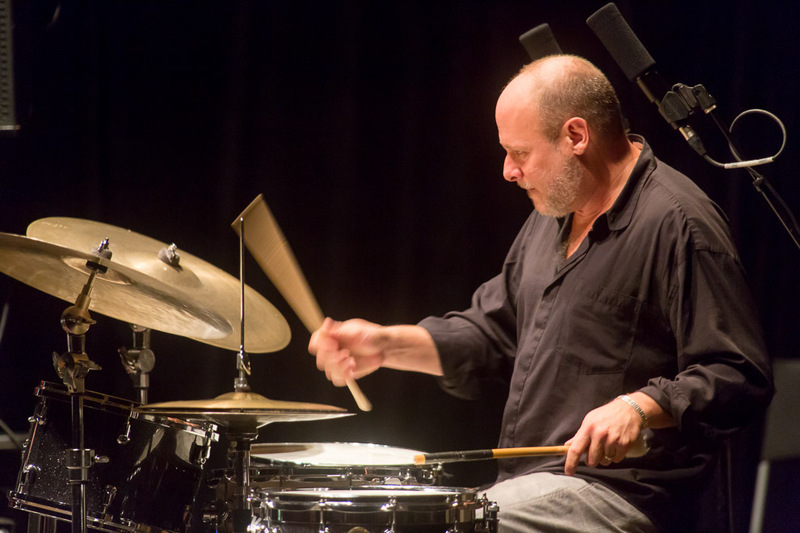 He has performed or recorded with many of the leading names in jazz, such as Herbie Hancock, Dave Holland, John Scofield, the Mingus Big Band, Jim Hall, Paul Motian, Dave Douglas, Ray Brown, and many others. 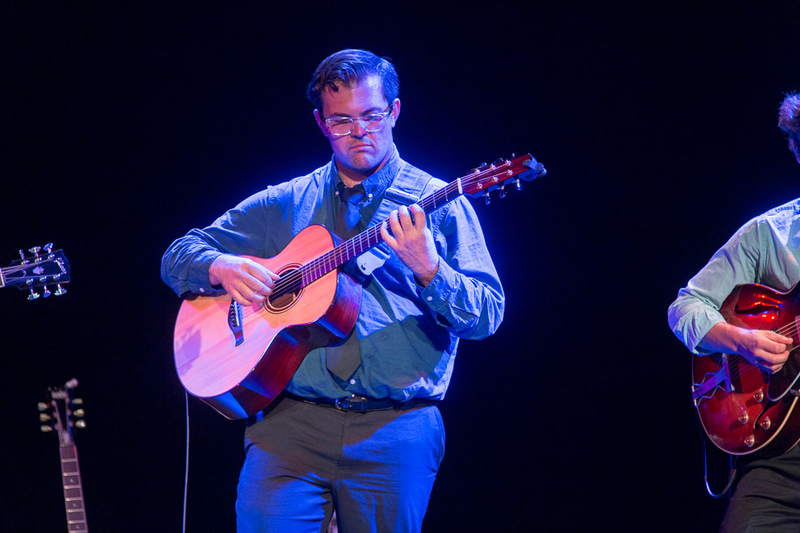 He’s led bands with many other contemporary masters. 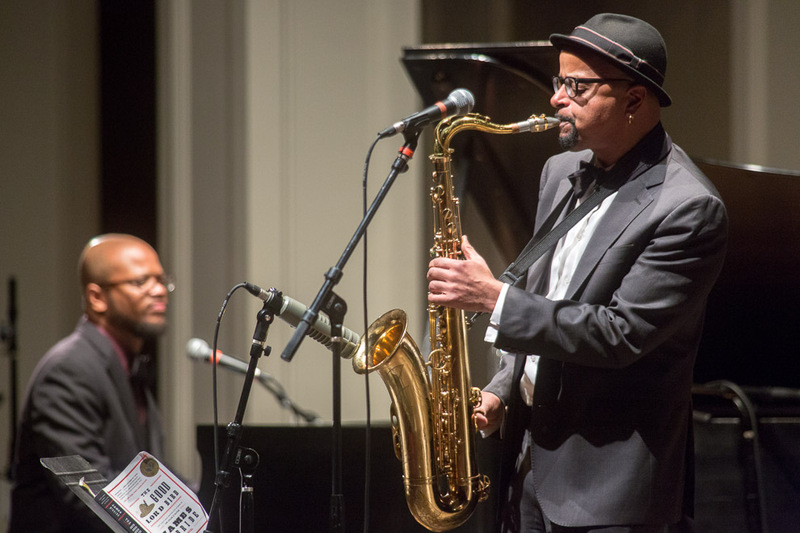 As “one of the most studied (and copied) saxophonists on the planet” (DownBeat), he’s done just about everything you can do as a jazz musician. Yet Potter is never satisfied. There is always room to explore, learn, and grow. 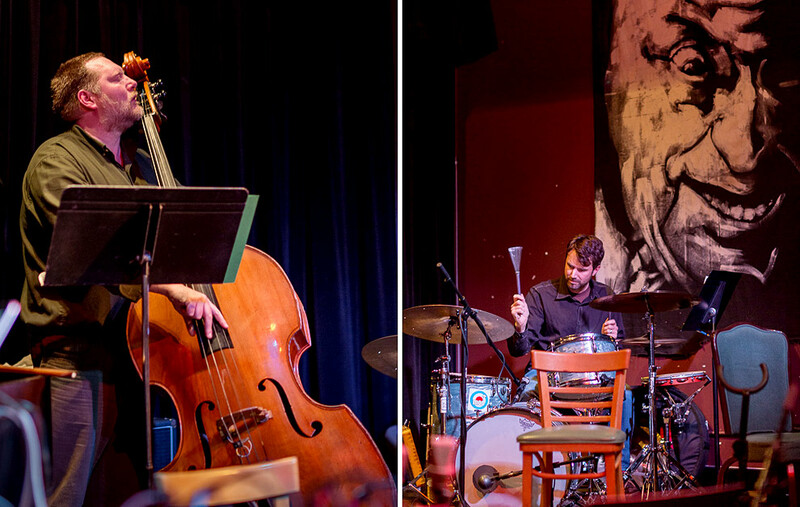 And for a saxophone, it’s hard to open things up for the uncharted more than the sax, bass, and drum trio setting. 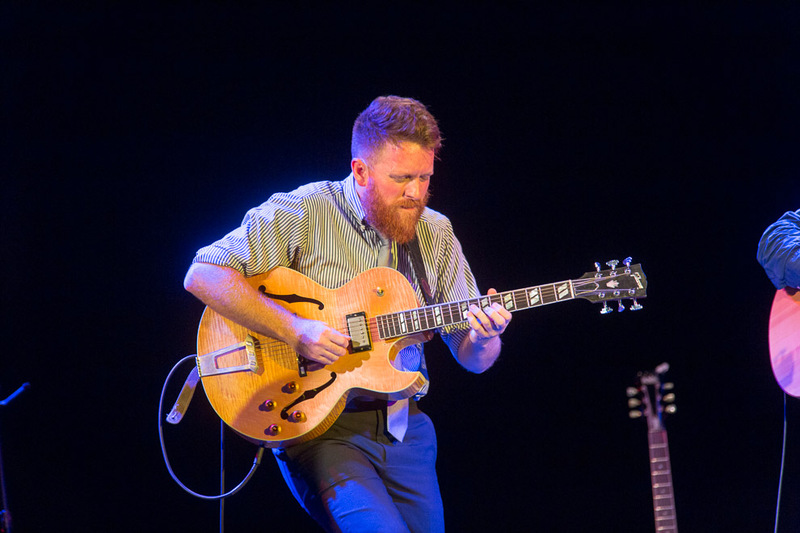 Potter, as accomplished and experienced as he is, will be playing right alongside bandmates that are equally so. They’re every bit of the word “prolific” and are highly sought after. 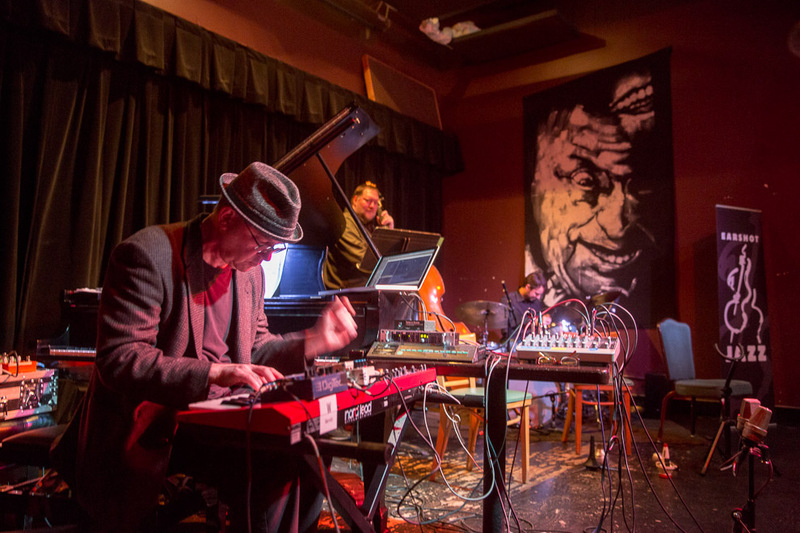 Since immersing himself in jazz as a teenager, Gress has worked alongside the likes of Cab Calloway and Buddy Hackett, as well as contemporaries including Tim Berne and Tom Rainey. 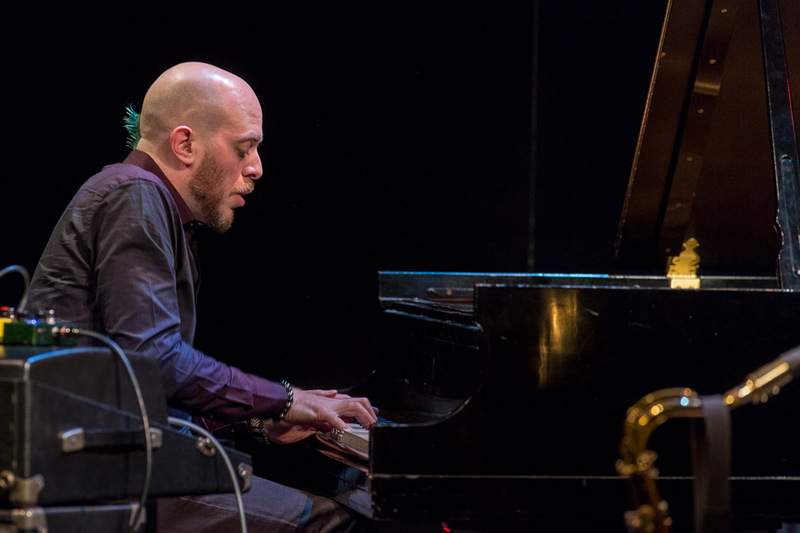 Though best known for his work with Danilo Pérez, Cruz has also performed, toured, and recorded with artists including Charlie Hunter, Chick Corea, Steve Wilson, and the Mingus Big Band. 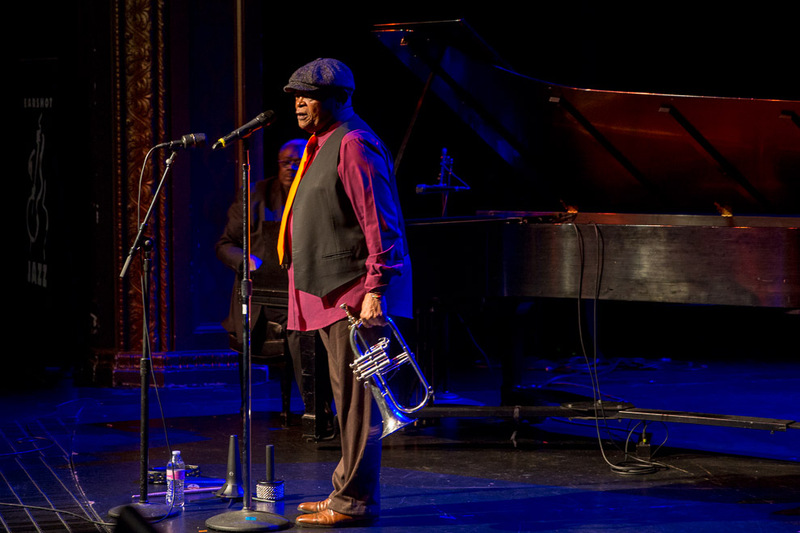 His debut album as a leader, 2011’sMilestone, received critical praise from DownBeat and JazzTimes. 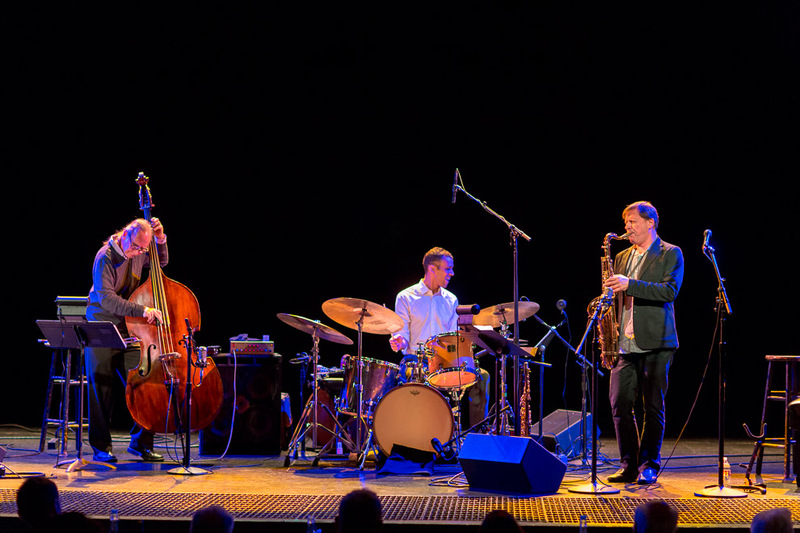 On Saturaya night at the Triple Door, the 2015 Earshot Jazz Festival presented the Scott Amendola Band.What a wonderful show and music. 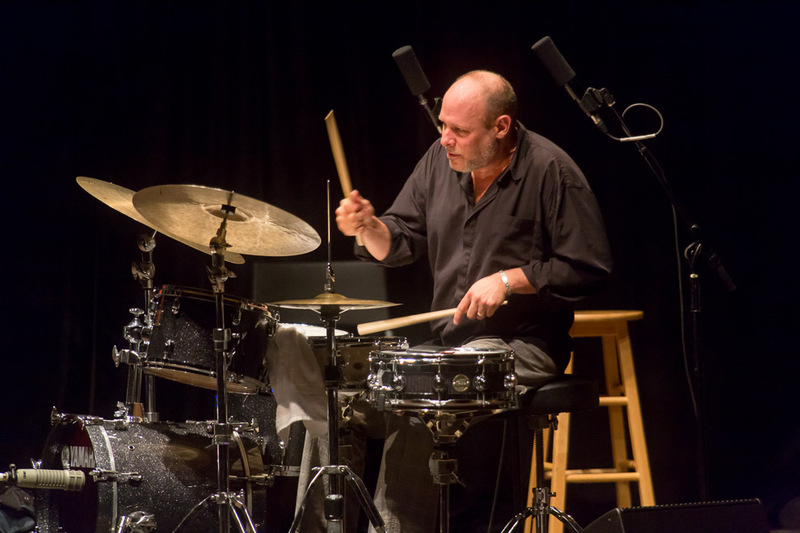 Certainly it’s true that virtually every notable Bay Area creative musician has crossed paths with drummer and composer extraordinaire Amendola, but that quote could now be comfortably extended to include not just the West Coast, but the entire US. 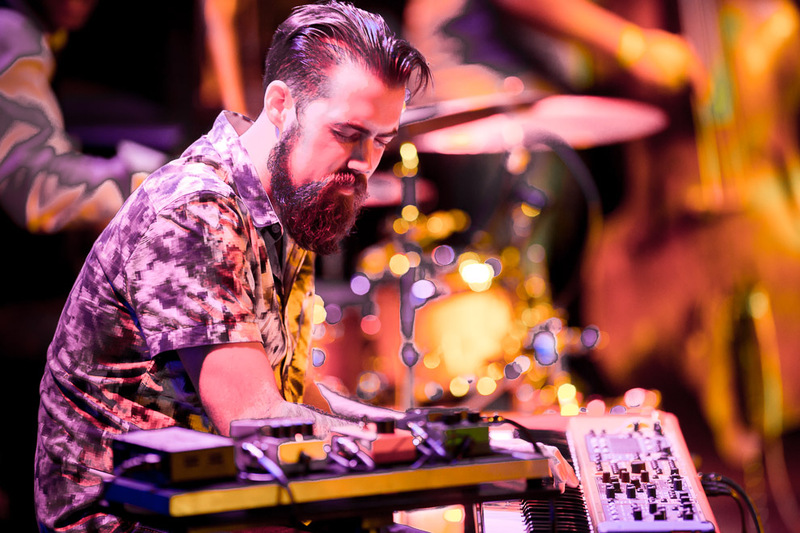 Amendola is justifiably revered coast to coast for his relaxed and funky groove, and for a broad conceptual base of poly-genre freedom anchored by prodigious chops that never overshadow the feel and stylistic integrity of whatever music he’s driving on a particular night. 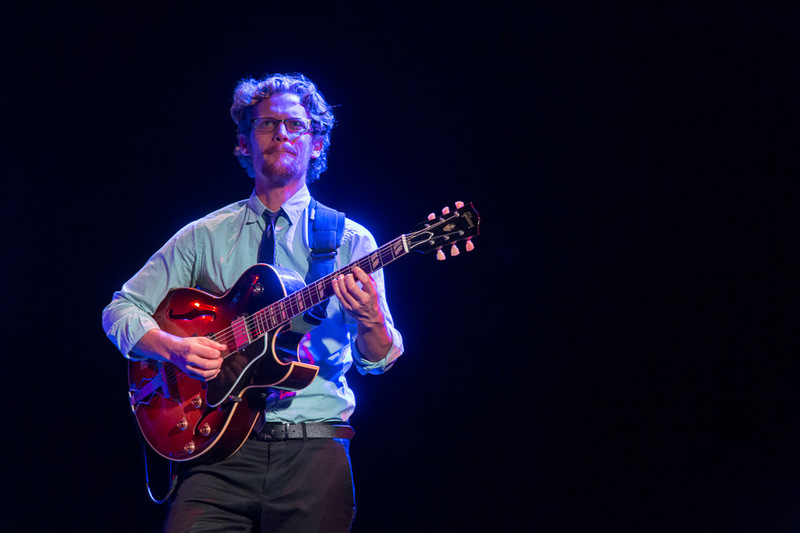 Just as comfortable providing sensitive support for a singer-songwriter as he is bashing a rock wall of avant-noise, Amendola’s sideman credits are staggering, and include such luminaries as Bill Frisell, John Zorn, Mike Patton, Wadada Leo Smith, Madeleine Peyroux, John Scofield, and Rodney Crowell. 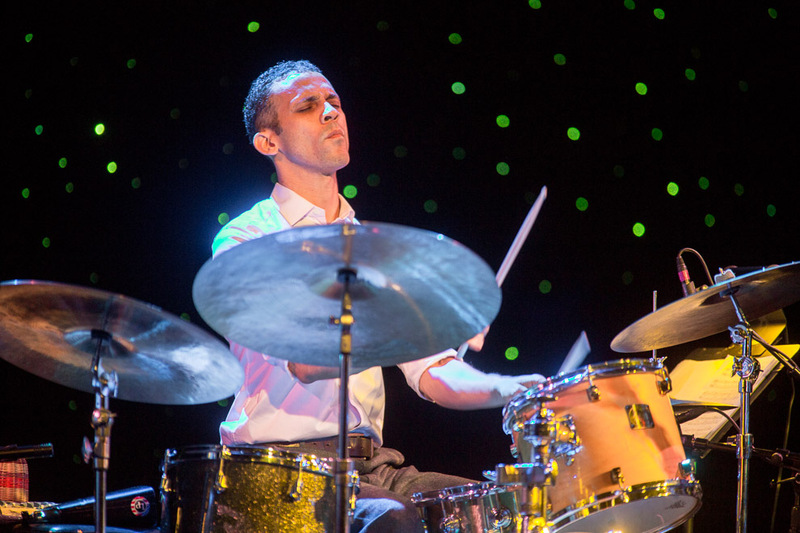 Fresh off recent tours with Regina Carter and his long-running duo with guitarist/groove machine Charlie Hunter (with whom Amendola first started attracting serious notice in the ‘90s Bay Area jazz and funk scenes), Amendola has also built an impressive resume as a bandleader and composer. 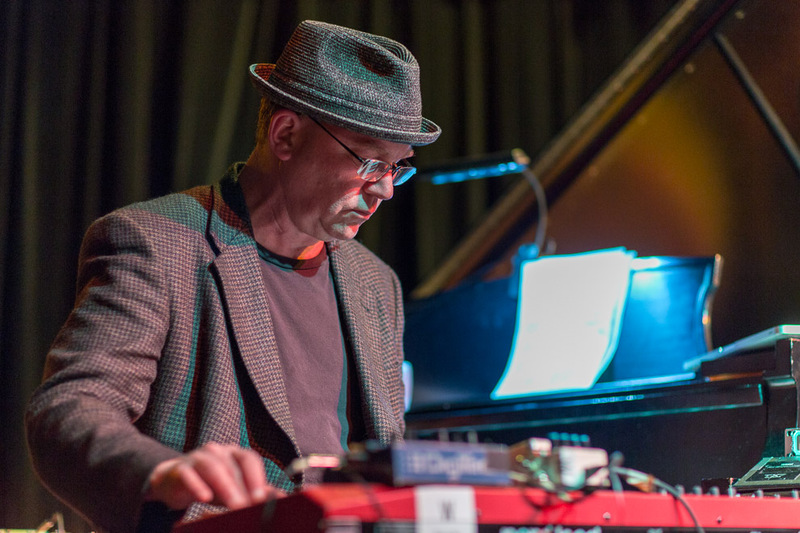 Starting in 1999 with Scott Amendola Band, he has released a string of creative and eclectic solo albums with shifting bands of collaborators, including the unit he will bring to the Earshot Jazz Festival. 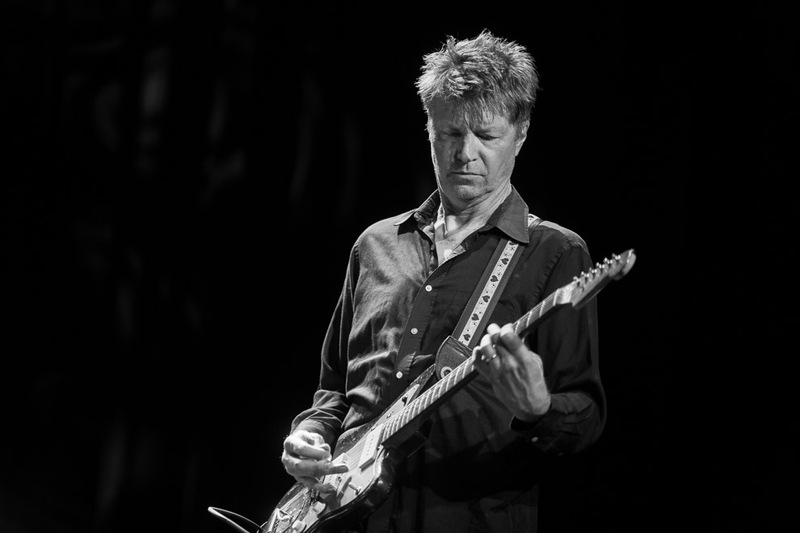 It’s a powerhouse ensemble of long-time associates, who have been playing together off and on since 1998: the contrasting yet complementary guitar titans Nels Cline and Jeff Parker, in-demand violinist Jenny Scheinman and the formidable Bay Area bass wizard John Shifflett. 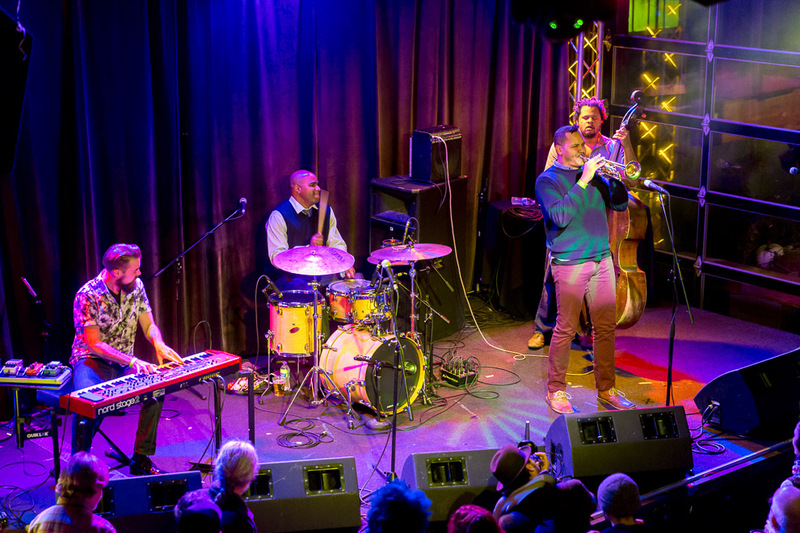 The breadth of firepower and stylistic flexibility in this group will make for a riveting and groove-intensive evening of music for adventurous listeners, a party with a purpose. Last night at Town Hall, Earshot Jazz presented Brad Mehldau, one of the greatest of modern jazz pianists, prodigiously inventive, equally riveting whether exploring formal structures or improvising with abandon, has for more than two decades excelled in trio performance, since 2005 with Larry Grenadier on bass and Jeff Ballard on drums. 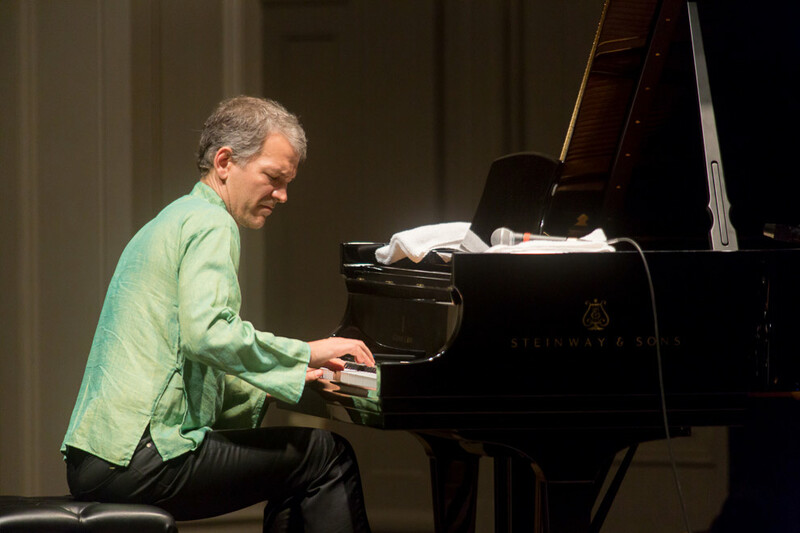 Over the last two decades, pianist Brad Mehldau has forged a unique path which embodies the essence of jazz exploration, classical romanticism, and pop allure. 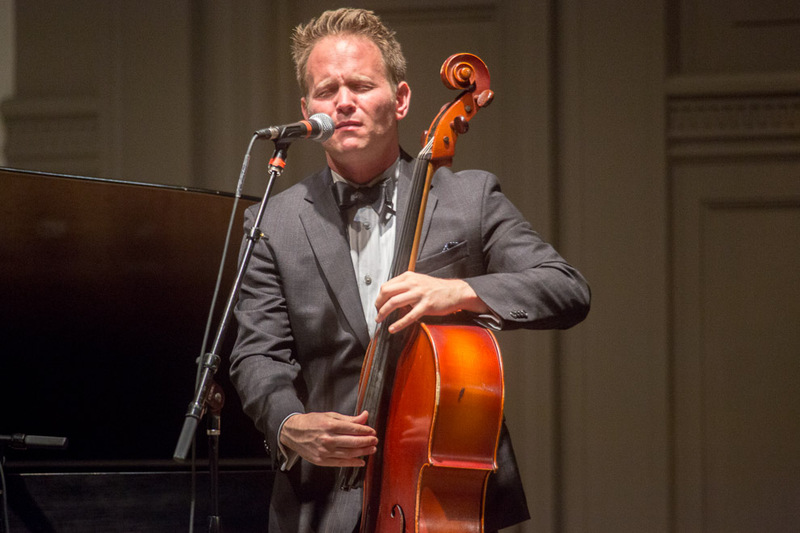 His unquestionable leadership across domains has grown quietly as he has transformed the paradigm of jazz and classical performance. 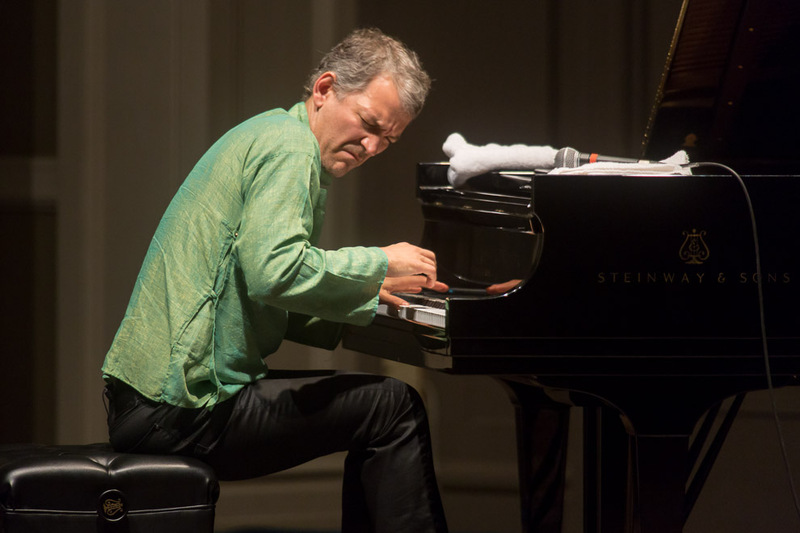 In recent years, Mehldau has expanded his international exposure in genre-crossing commissions and notable collaborations with Pat Metheny, Anne Sofie von Otter, Orpheus Chamber Orchestra, Renée Fleming, Britten Sinfonia, Kevin Hays, Jeremy Denk, Chris Thile, and Joshua Redman. 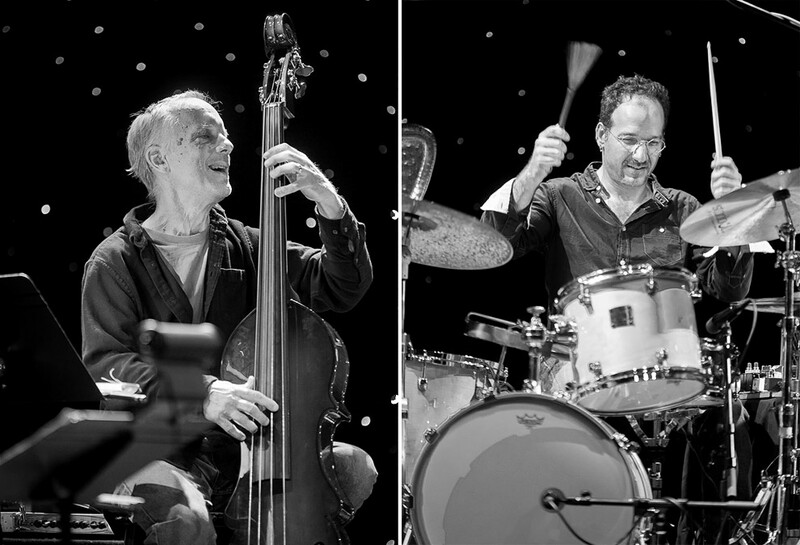 With his rigorous intellect feeding an inspired range of expression and intensity, Mehldau leads one of the world’s top jazz trios. 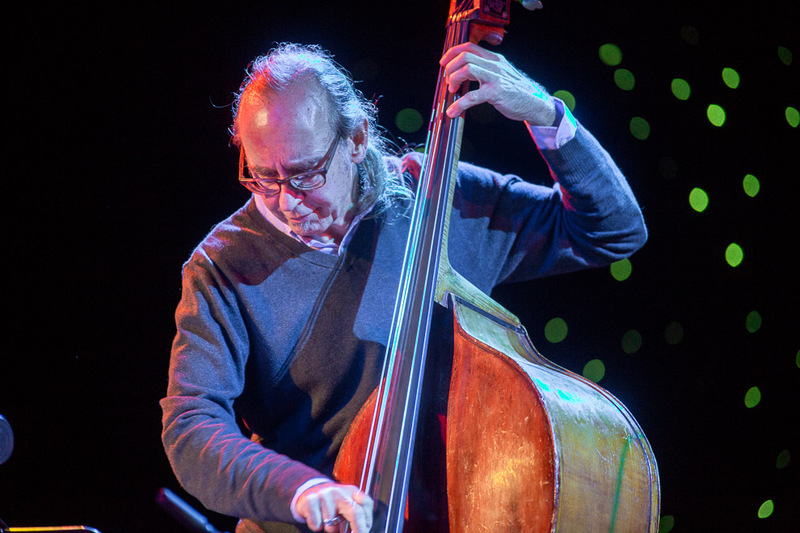 Bassist Larry Grenadier attended Stanford University, where he received a degree in English Literature. 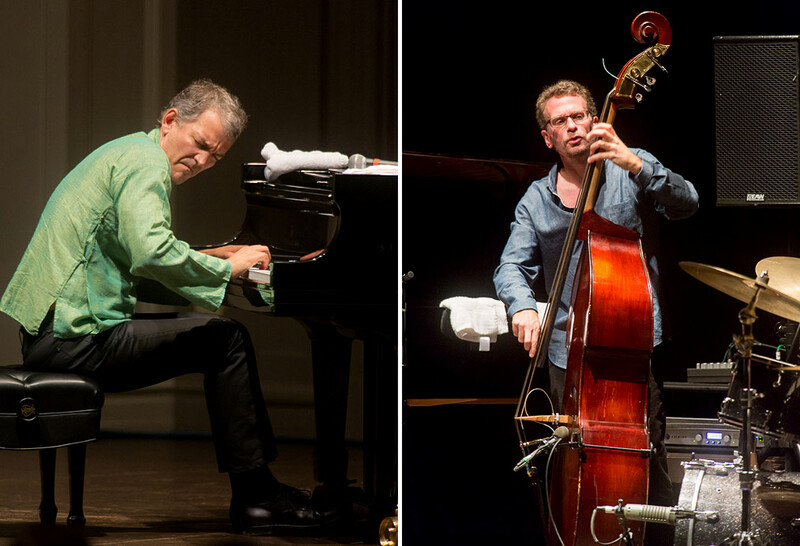 After moving to the East Coast, he played in the Gary Burton Band, touring the US and Europe. 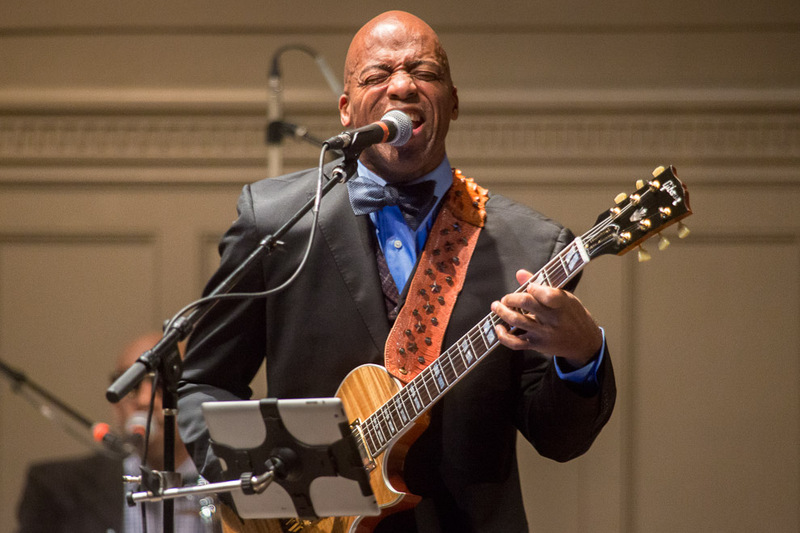 He moved to New York City and played with Joe Henderson, Betty Carter, Pat Metheny, and the John Scofield Group. 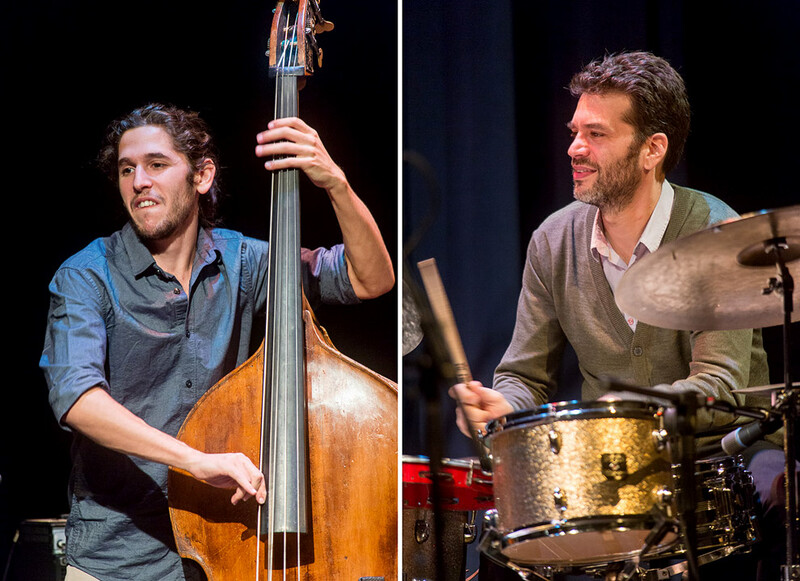 When not touring and recording with the Brad Mehldau Trio, Grenadier tours and records with the Pat Metheny Trio. 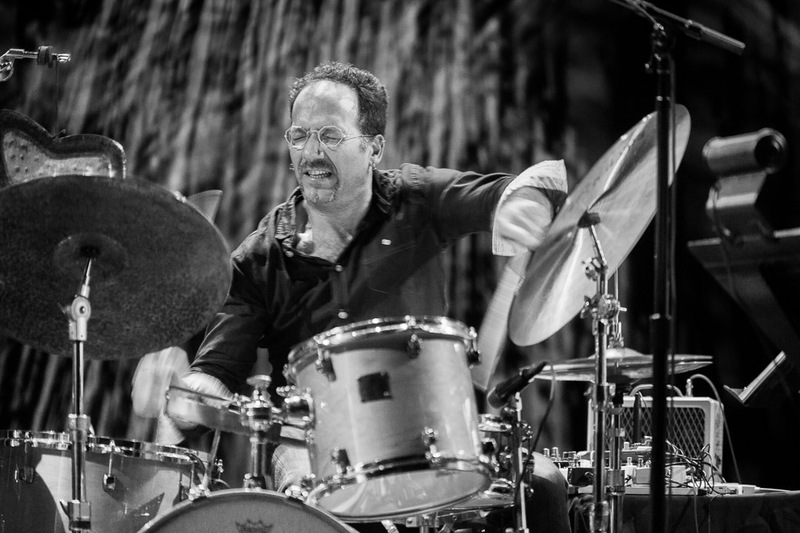 Drummer Jeff Ballard grew up in Santa Cruz, California. 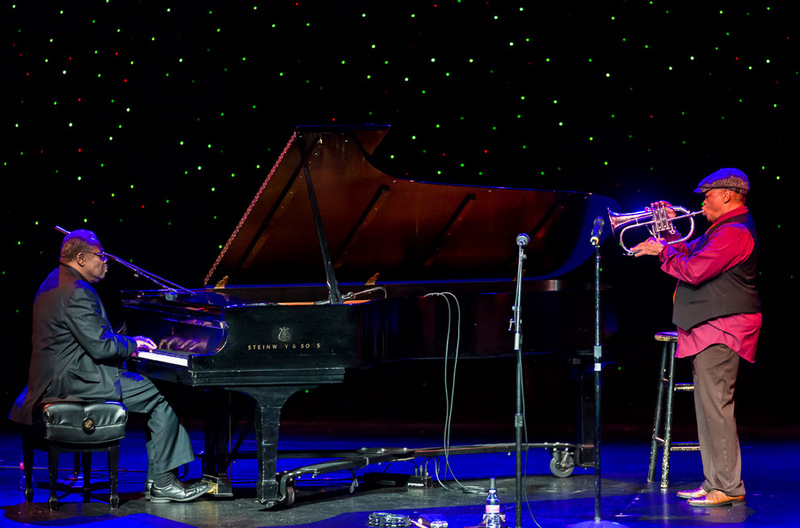 He toured with Ray Charles from 1988 to 1990, moved to New York in 1990, and since has played and recorded with Lou Donaldson, Danilo Pérez, Chick Corea, and Joshua Redman, to name a few. 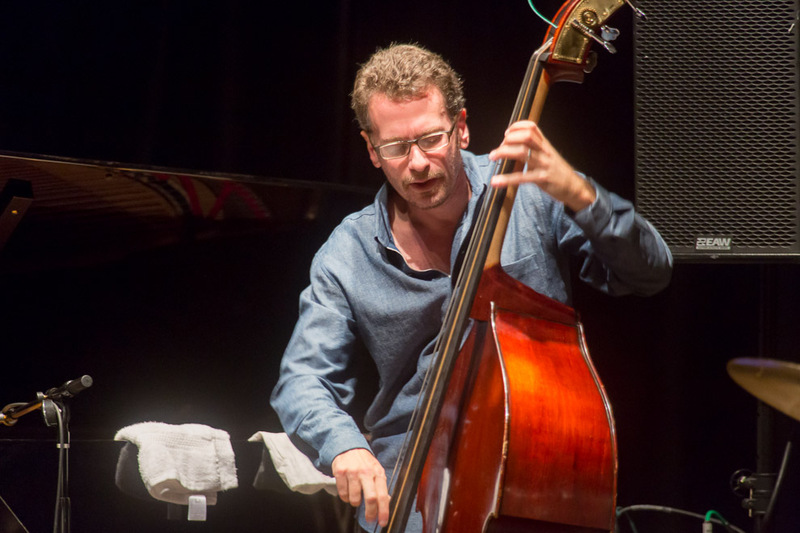 Currently, as well as being a member of the Melhdau Trio, he is co-leader of the collective group FLY, featuring Mark Turner and Larry Grenadier, and Joshua Redman’s Elastic Band. 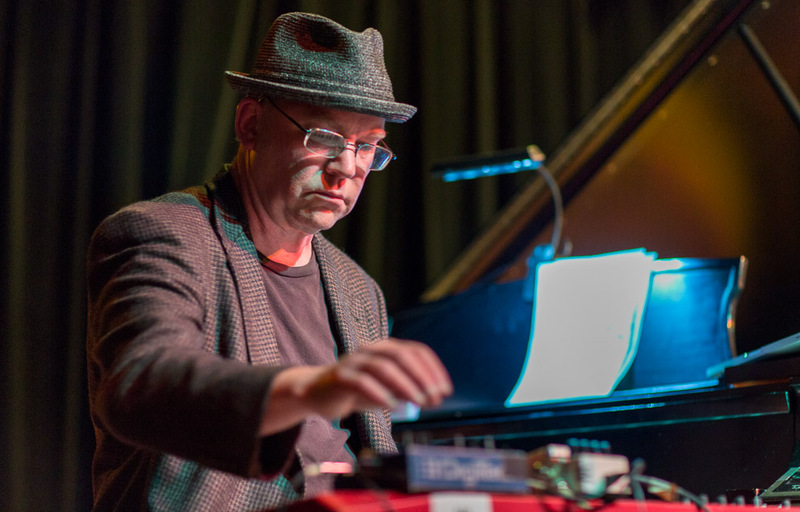 Thursday night was the the third of three events marking Wayne Horvitz’s 60th birthday and his considerable contributions to Seattle jazz culture. 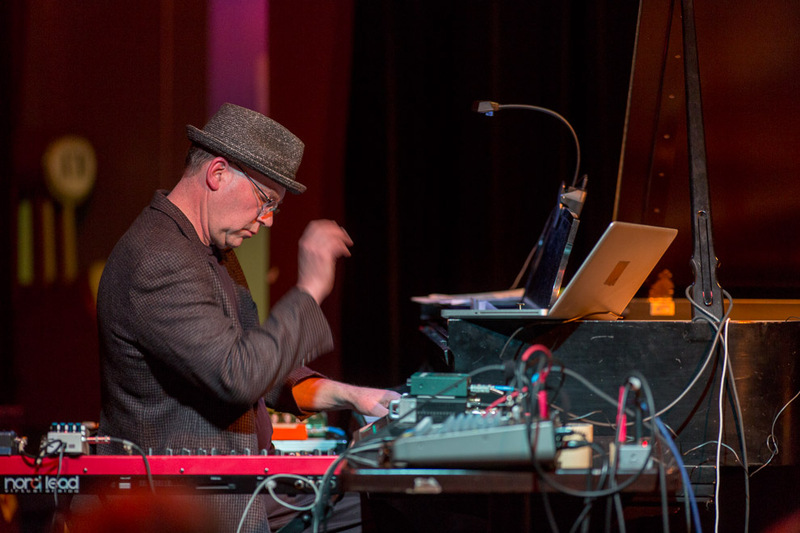 In a fascinating triple bill, the renowned keyboardist/composer plays in three settings: solo piano with electronics; his Snowghost trio, where Eric Eagle, a drummer adept in many genres, and Geoff Harper, who is among the region’s most cherished bassists, complement Horvitz’s processed piano and synthesizer with results he says have surprised even him; and a new Seattle sextet in which he, Eagle, and Harper appear with three expansive innovators: trumpeter Ray Larsenand saxophonists Ivan Arteaga and Greg Sinibaldi. 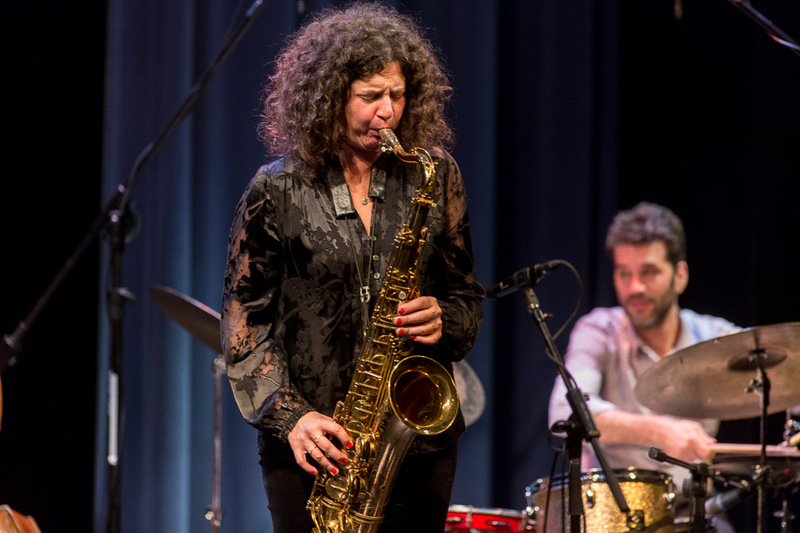 Last night at Cornish Earshot Jazz Festival presented once again Anat Cohen. 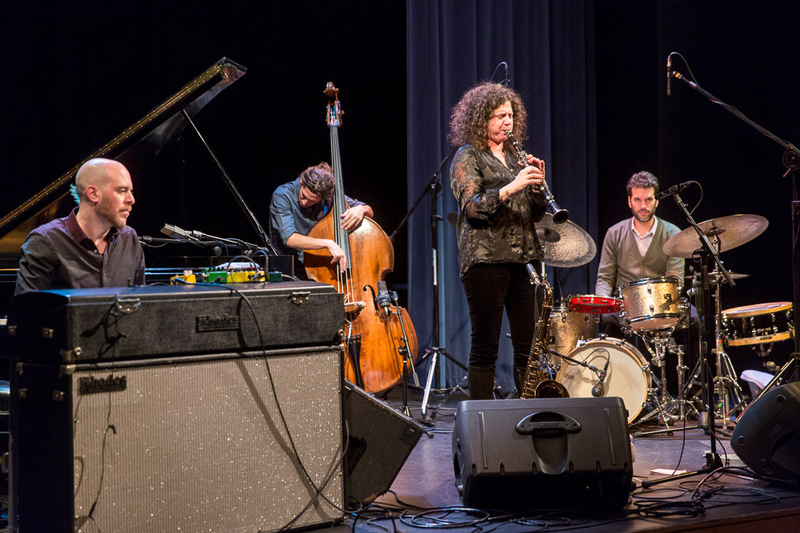 Conversant with modern and traditional jazz, classical music, Brazilian choro, and Argentine tango, the Israeli clarinetist has established herself as a leading voice in jazz moving forward. 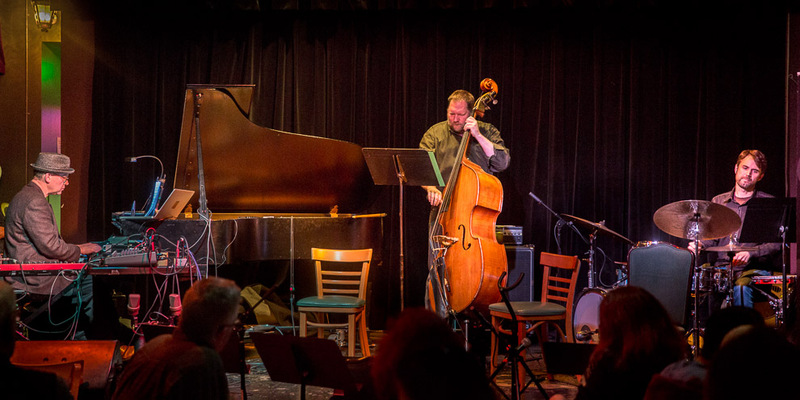 And with it, she “reaches a state of musical ecstasy…as her clarinet moans, sighs, soars and wails with passion and emotion,” wrote All About Jazz. 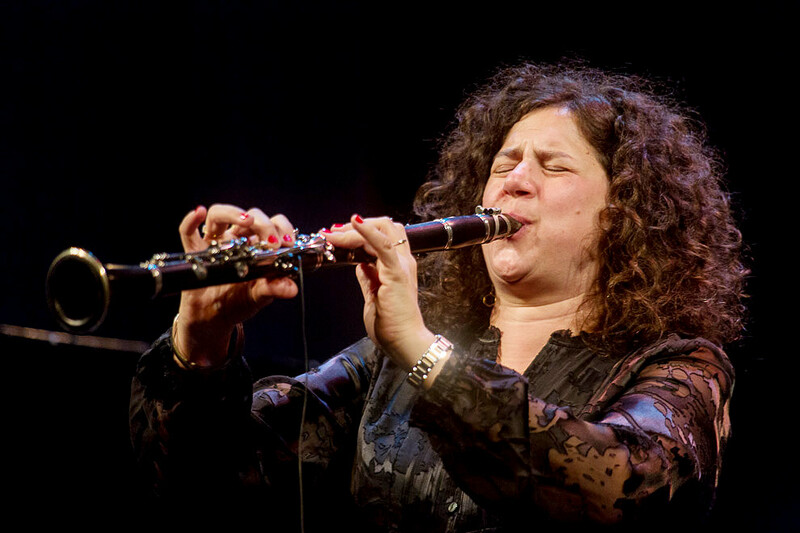 The Tel Aviv-born US transplant began clarinet studies at 12, also plays tenor saxophone, and studied at Berklee College. 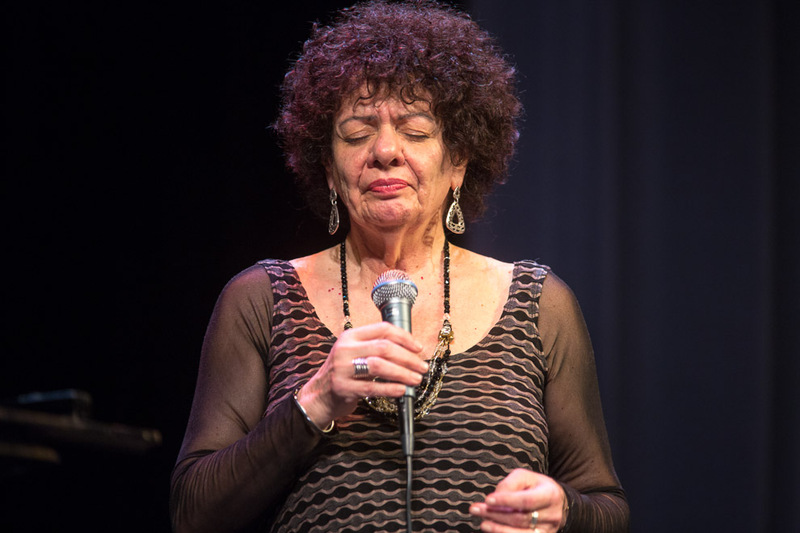 In New York, she joined Brazilian ensembles like Duduka Da Fonseca’s Samba Jazz Quintet, and performed the music of Louis Armstrong, Bix Beiderbecke, Sidney Bechet, and their pan-American contemporaries. 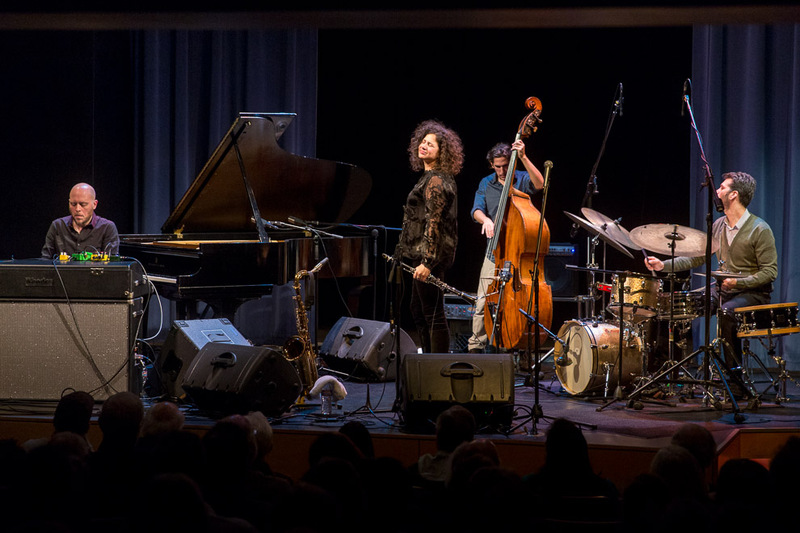 Her reputation spread as one of the most engaging of modern jazz musicians, and one of a group of Israelis spicing the New York scene. 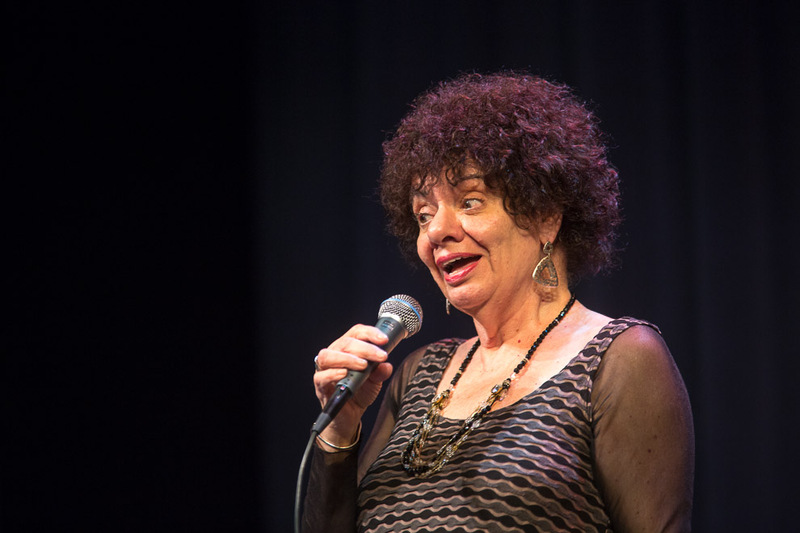 Recognized with nine consecutive Jazz Journalists Association awards for clarinetist of the year and multiple DownBeatcritics and readers polls honors, she achieves a rare accomplishment in jazz: seamlessly merging early and recent styles, and geographically diverse forms, into personal expression. 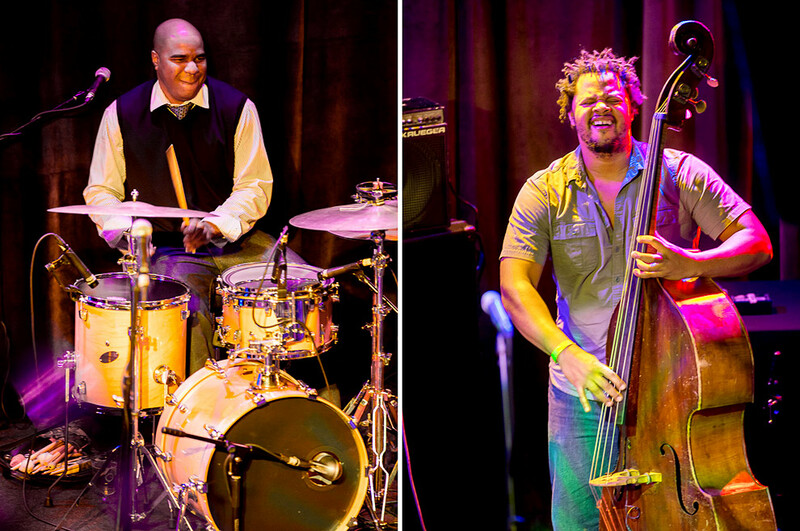 The Good Lord Bird Band consists of Show Tyme Brooks on drums and vocals, Trevor Exter on bass and vocals, Adam Faulk on piano and vocals, Keith Robinson on guitar and vocals, and McBride on saxophone and vocals. 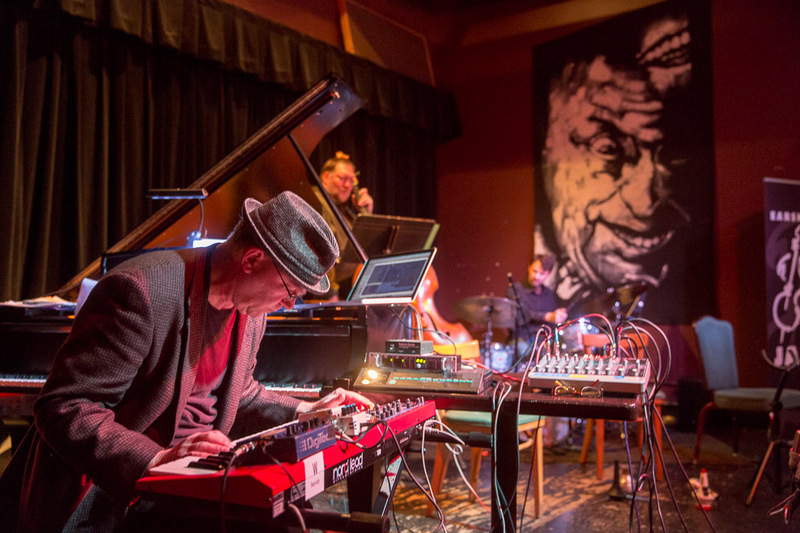 Co-presented by Seattle Arts & Lectures and the Seattle Times. 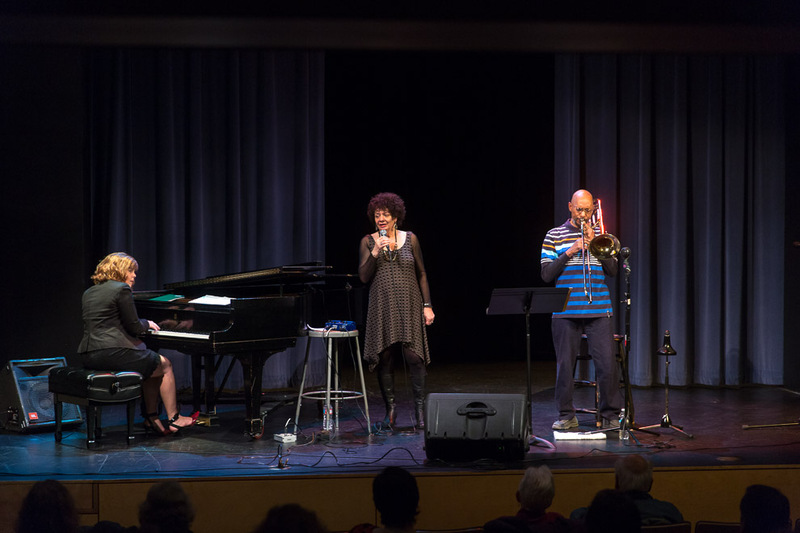 Last night at Cornish College, vocalist Jay Clayton returned to perform originals, standards, electronics, poetry, plus a tribute to Ornette Coleman, with fellow Cornish players Julian Priester and Dawn Clement. 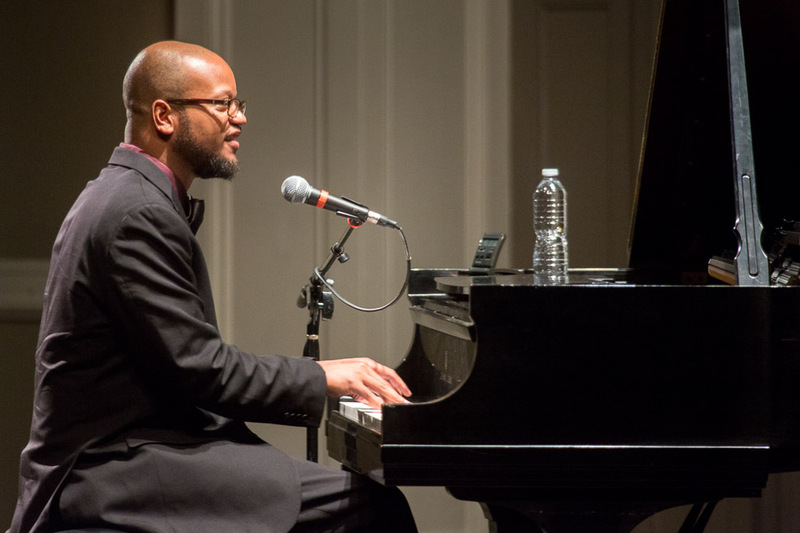 An impressive vocalist, composer, and educator, Clayton has performed and taught across the world. 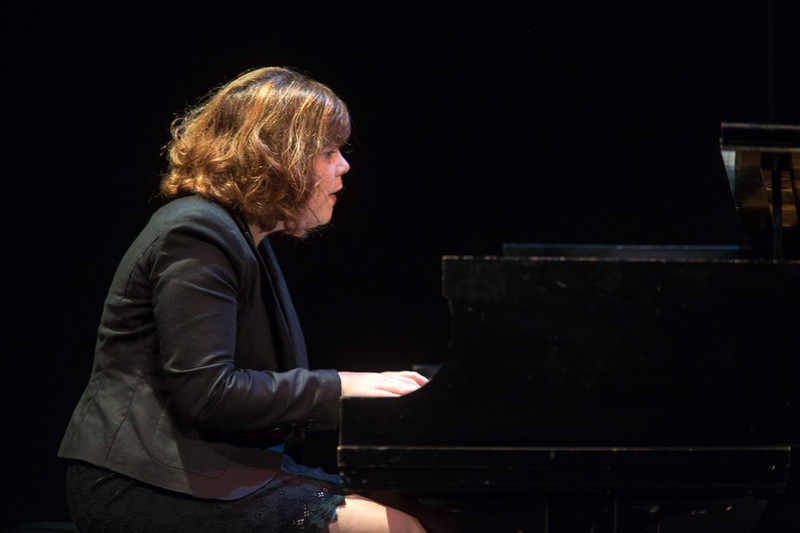 She has collaborated with many big names, including: Fred Hersch, Norma Winstone, Bobby McFerrin, Steve Reich, Muhal Richard Abrams, and Jane Ira Bloom. 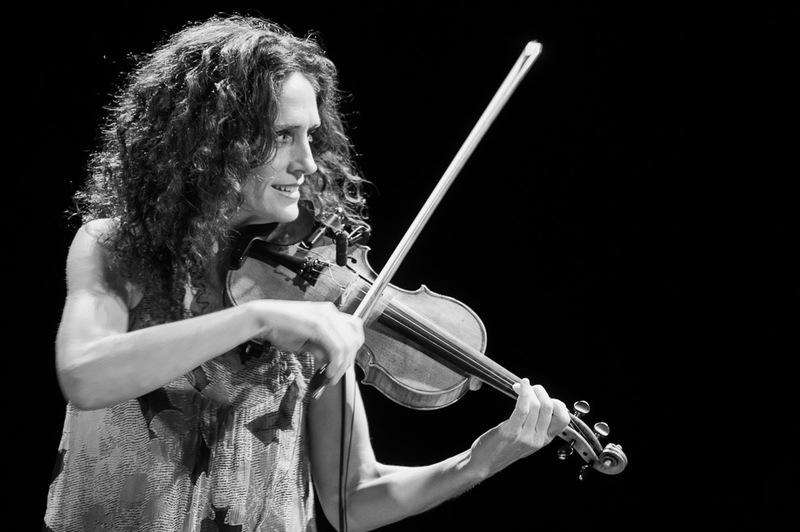 Clayton is known and respected for her experience with free jazz and improvisation. 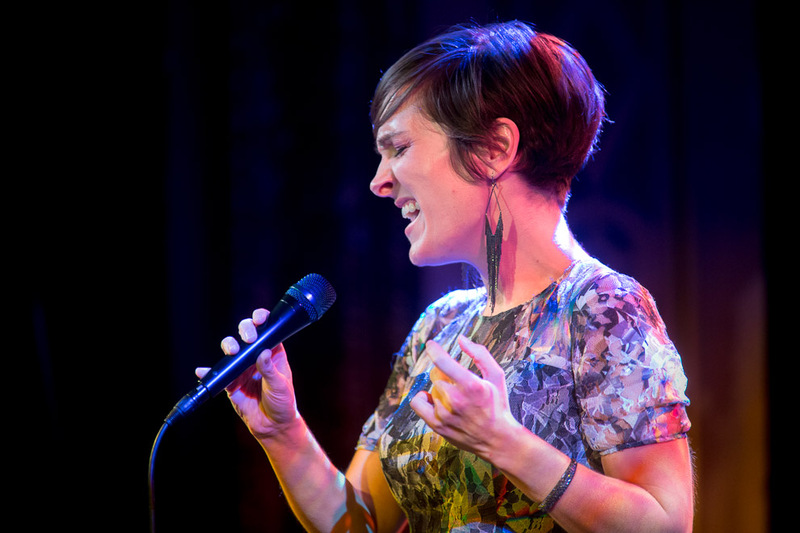 “More than 20 years after her debut recording All Out, Clayton is still the most adventurous singer in jazz, a specialist in wordless improvisation who’s also expert in distending and finding new meanings in the melodies and lyrics of classic popular songs,” writes Francis Davis ofThe Village Voice.